Robbie Keane has trained with Shamrock Rovers this week as he keeps sharp with a view to sorting out his football future. The all-time record Ireland goalscorer was linked with a move to the Hoops earlier this year but dismissed the idea out of hand and there is no expectation that a stint on the training ground with the Hoops will lead to anything. Rovers sources have stressed that Keane's involvement with the League of Ireland side is based around maintaining his fitness and is unlikely to extend beyond the end of this week. But his presence at Rovers' new Roadstone base yesterday was a pleasant surprise to the Rovers squad with Keane linking up in training with his good friend Damien Duff who is a member of Stephen Bradley's first team coaching staff. The Tallaght man's former Ireland and Leeds colleague Stephen McPhail is also sporting director with the Dublin 24 club. Duff - who was recently appointed head coach of the U-15 Rovers' team - is prominently involved in senior training sessions and it's believed that the Hoops strikers have also benefited from Keane's advice this week. It is still unclear what the future holds for the 36-year-old. He suggested in January that he was keen on a move to England but that failed to materialise. Championship side Preston were interested in adding the veteran to their substantial Irish legion. However, their manager Simon Grayson said that they couldn't afford to bring the marquee name on board. A return to the MLS was floated as an option, while Keane also trained with the Dubai-based Al-Ahli club but that was another exercise which was about staying fit on a holiday rather than getting to know a potential employer. 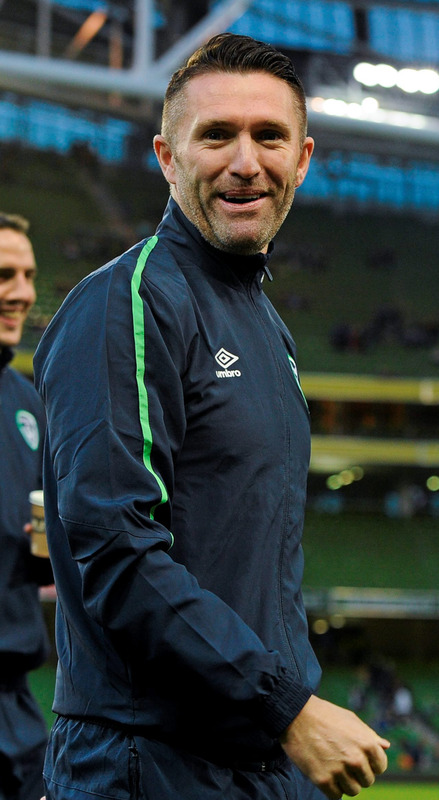 It's believed that Keane was eyeing up a move to another club in Asia which ultimately failed to materialise.